Dayton Police K9 officer Zeta being fitted for her new vest. Some special Dayton police officers will be better equipped soon. 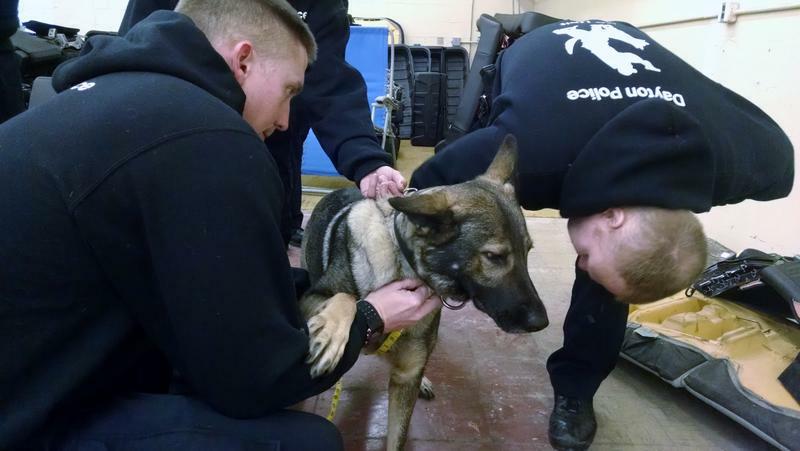 Five Dayton police dogs are getting new ballistic vests. Members of Dayton Women of the Moose, Chapter 9 were inspired by a program called Protect the Protectors, but decided to put their own spin on things. Anita Farish says the program normally provides protective gear for humans but "we got to thinking about it and we thought, 'well okay, let's try the dogs.' We contacted the Dayton Police Department and they had just gotten a new dog and she had no protection whatsoever." "Then," Farish adds, "we found out that the other four dogs had very old protection." Chapter members thought it wouldn't be right to buy just one bullet proof vest and let the other dogs go without the latest safety technology. They got to work doing fundraising dinners, bake sales, and anything they could think of to raise enough money for five new vests. At $580 apiece, the vests cost nearly $3,000 for all five. Women of the Moose, Chapter 9 will present the vests to the K9 officers and their handlers on March 22. 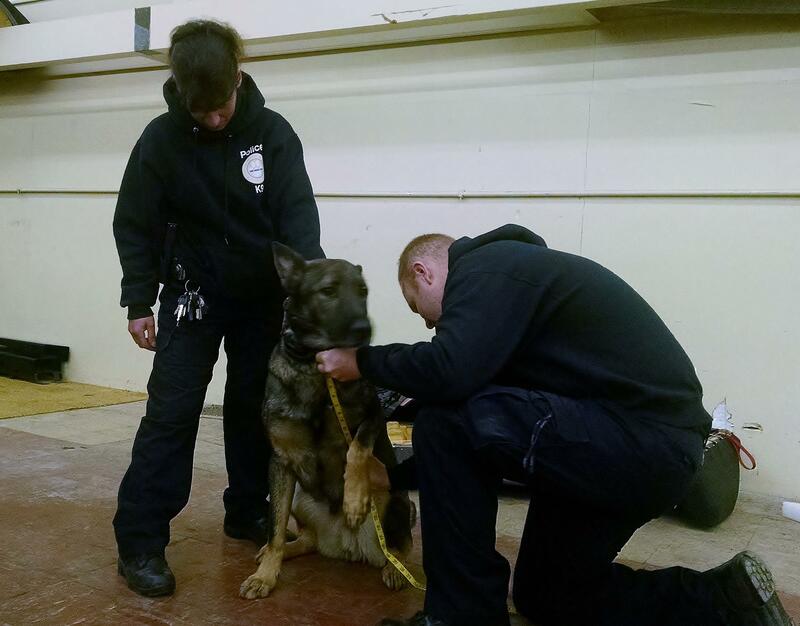 Officers measure K9 Baron for his new vest.